Shuttles versus stacker cranes – what is the question? Anyone wanting to automate a warehouse must sooner or later ask the question if it should be done using shuttles or stacker cranes. Which automation solution solves the task of the goods-to-person principle in a more effective manner often gives rise to controversial discussions: Should companies prefer stacker cranes? Or would a shuttle solution be better? In general, both technologies are valid. The warehouse should not however be considered an isolated solution, rather a part of the overall picture. It must be checked on an individual basis which solution better re- flects the respective processes and frequencies, meeting the indi- vidual logistics strategies of the user. Shuttle warehouses are commonly considered the more flexible logistics solution. On the one hand, they can be better adapted to the existing infrastructure than a relative fixed ASRS with long aisles. If for example the operator has a logistics centre with different building heights of between eight and ten metres, the racks for the shuttle warehouse can be adjusted to this difference. On the other hand, shuttle solutions are considered more flexible because the individual driving strategies can be implemented in the warehouse and the number of shuttles used can be increased during peak times.This aspect is connected with the parameter of the average output to be expected. More shuttle vehicles are connected in turn with higher purchase and maintenance costs. In this context companies should leave out peak times that might only occur a few times a year when calculating their capacities for an automated logistics system, as this could quickly lead to an oversized, inefficiently operated system whereby a needs-based investment is no longer possible. The strategic advantage of the scalability of a shuttle warehouse in comparison to the classical ASRS and therefore the strategic advantage for longterm corporate planning would be lost. If a company sets realistic growth targets for the next 5 to 10 years, it receives a system that can grow with it through the use of additional shuttle vehicles without having to have additional logistics space. On the other hand: If the logistical procedures are clearly defined for a user, if the daily throughput can be well calculated and the projections for the future are clear, then a warehouse with stacker cranes can come into question. If enough space would be available for additional warehouse lanes if needed, the parameters suggest an ASRS with stacker cranes. The stacker crane is also attractive from an operational safety point of view. While all storage areas are manually accessible in a shuttle warehouse and the aisles will not fail completely in the case of an emergency, the emergency strategy with a stacker crane is more difficult and entire aisles may fail. For the lean logistics expert Thomas Bischof, the most important aspect for automation is not to take a look at the warehouse and create an isolated solution, rather it is important to keep the big picture in mind. 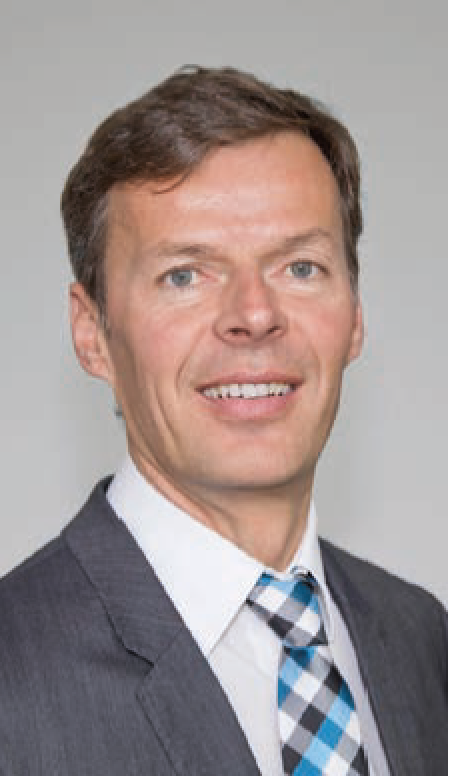 “Ultimately, production and logistics must merge and be perfectly adapted to each other in the future in order to supply lean production with lean logistics”, says Mr Bischof. Therefore for him, the term “shuttle” does not reach far enough. With regard to Industry 4.0, shuttles must be able to do much more than only go back and forth in a warehouse. Therefore at Servus intralogistics, we speak of transport robots. “In order to produce a batch size of 1 or to implement a one-piece-flow, these transport robots must be equipped with swarm intelligence, work autonomously and find their own way to the destination along the shortest route.This is what makes a system as scalable as you wish as well as lean and efficient.”, says Mr Bischof. In addition, the abilities of transport robots will be even more in demand in the future. In addition to transport, they will take over additional customer-specific tasks. For the lean logistics expert Thomas Bischof, the most important aspect for automation is not to take a look at the warehouse and create an isolated solution, rather it is important to keep the big picture in mind. ASRS or shuttle? We're happy to help.